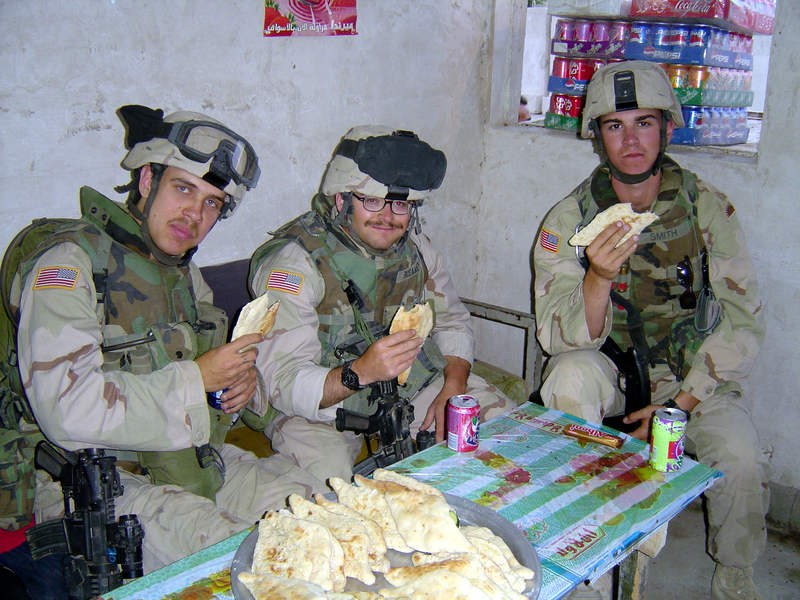 On July 28, 2004, 3rd Platoon, Bravo Company, 2-162 Infantry, Oregon National Guard had just completed a meet & greet in a small village in Iraq’s infamous Sunni Triangle. 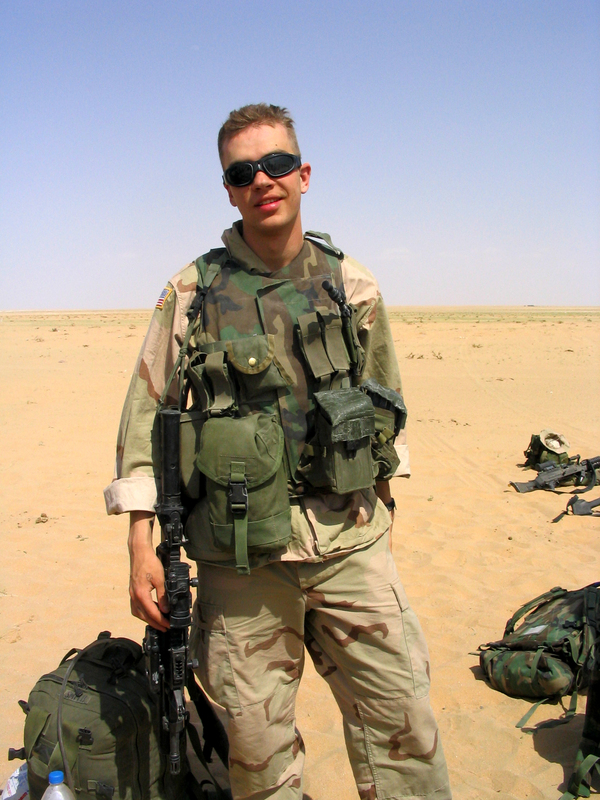 The Oregonians had handed out water and supplies to the families, and the medic with them that day had treated some of the Iraqis who presented injuries to him. Moments after leaving the village, a massive IED detonated under one of the platoon’s 1114 armored Humvees. The blast was so powerful that it blew the Humvee dozens of feet into the air. It crashed back to earth on the driver’s side with three men trapped inside it. The platoon medic had been ejected from the blast, his legs badly wounded, and was found lying in the road dozens of meters from the wreck. The driver, 19 year old Specialist Ken Leisten Jr., was killed instantly. His platoon sergeant, SFC Vince Jacques, was trapped inside the wrecked, badly burned and concussed. He was found dangling upside down, his legs pinned under the remains of the dashboard. The gunner, SPC Ben Ring, was gravely wounded by shrapnel, and the platoon’s ‘terp was slightly wounded. 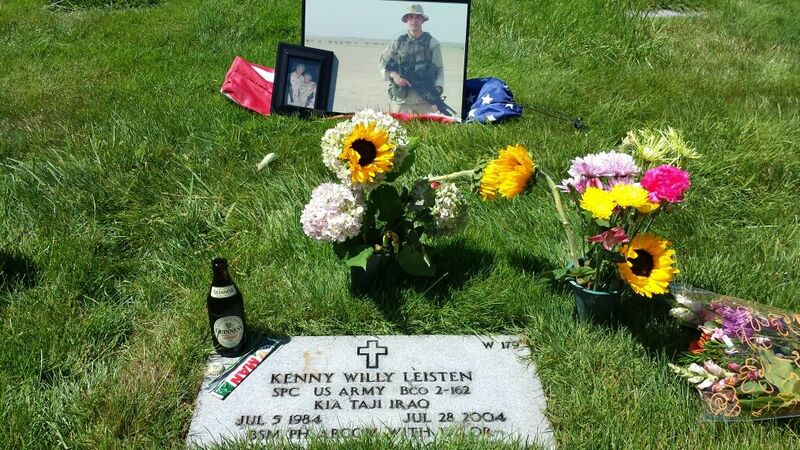 On July 28, 2005, the platoon (freshly returned from their deployment) met at Willamette National Cemetery at Kenny’s grave site to honor and remember their fallen brother. That first meeting established a tradition that has since grown into a summer ritual for those touched by Kenny’s life. Each year, Kenny’s dad and members of Bravo Company gather to share their memories of their service together, tell tales about Kenny, drink whiskey on his behalf and smoke a cigar or two. The bond the men share transcends the trauma of loss and the combat they experienced together. It goes deeper than anything in any other unit I’ve ever seen. No matter what everyone is doing, no matter how far the men of 3rd platoon wander from the Pacific Northwest during the year, they all know a reunion is waiting for them every July. Over the years, the ritual has renewed those bonds and has kept the men and their families in close contact. Kenny’s last gift to his Brothers was to ensure they would have a grounding point when they came home, a moment when the daily grind of life at home can be put aside, and these warriors return to their own under a summer sun.